Millions of Americans are earning as much as US$300 per month by donating their plasma for money. While a lot has been written about this trade and its ethics, the fact remains that plasma donation is helping several Americans make ends meet. Understandably, plasma donation or rather sale, does impact your body. But with some care, you can reduce or eliminate these side effects. Before guiding you on how to donate plasma for money, let us take a look at some facts and figures gleaned from various sources. A report carried by The Atlantic in March 2018 indicates plasma donations or sales tripled in USA from 2006 to 2016. The report, quoting figures released by Plasma Protein Therapeutics Association states, in 2016, Americans made some 38 million plasma donations. America now has over 600 plasma collection centers. Global sales of plasma shot to US$20 billion in 2015 and this figure will surge further as demand for this body fluid essential for treating various critical illnesses grows. It states, the US accounts for 70 percent of the world’s plasma supply but can meet only 40 percent of the demand. Several major plasma collection firms are now expanding operations to cope with domestic and global demand. Hence, if you wish to donate plasma for money, here is a step-by-step guide. This post will clear all your basic questions like ‘how much do you get for donating plasma’, ‘how often can you donate plasma’, ‘plasma donation center near me’ and other guidelines to help you in selling plasma. The US Food and Drug Administration (FDA) have very strict guidelines for plasma collection companies and donors. Women and men within legal age of 18 and 66 years can donate plasma. Donors should possess excellent physical and mental health. Plasma donors should weigh minimum 110 pounds. Prospective donors should not have undergone surgery, body piercing, tattooing or permanent make-up during the last 12 months. If you meet the above criteria, it is possible to donate plasma for money. However, if you are on prolonged medication or have certain medical disorders, it is not possible to donate plasma for money. If you want to donate plasma for money, it is important to find the right center. Normally, plasma collection centers will pay between US$30 and US$60 for one unit of plasma. Hence, it is important to find ones that will pay you the highest. Some major companies where you can donate plasma are listed below. You can find the nearest plasma donation center near your location through websites of these companies or 450 other centers through DonatingPlasma.org. Proof of your current residence. Identity card that bears your picture. Your first visit to a plasma donation center can take anything from three to five hours. This will depend upon the number of people waiting in queue to donate plasma for money. When you are donating plasma for the first time, a receptionist or other designated staff will check all your identity documents. You may have to sign a declaration stating the donation is voluntary. Upon completion of these formalities, you will undergo a physical examination. A lab technician will draw small amounts of blood from your finger to check plasma protein and hemoglobin levels. Upon completion of these steps, you have to fill out a detailed questionnaire stating our medical history and other relevant information. If physicians at the donation center find you eligible as plasma donor, you will be taken to the collection room. The plasma donation process is rather simple, once you have been accepted as donor. Once inside the collection room, you will be asked to relax on a very comfortable seating bed. A technician will prepare you for blood donation by identifying a vein in your forearm. The vein area will be disinfected by the technician using antiseptic swab. An intravenous needle will be inserted into the vein and blood collection begins. Once you have donated a pint or 500ml of blood, plasma will be separated. Remaining blood components will be restored to your body by the technician. The first plasma donation takes about two hours since you have to complete documentation and other formalities. For subsequent donations, the process lasts about 90 minutes. As I have said before, a visit to plasma donation center can take much longer if there are several other donors in the waiting area. At some locations, donors reported have waited up to five hours due to long queues. Remember, plasma donation centers will pay you only if they can successfully extract your blood and the required fluid. You do not get paid if your plasma donation goes wrong because of something to do with your body. Hence, here is a checklist of do’s and don’ts before you sell plasma for money. Drink plenty of fluids. Normally, consuming six to eight cups of water or juice at least two days before you donate plasma and on the day of donation will serve well. Avoid consuming alcoholic beverages, including beer if possible a couple of days before donating plasma for money. Eat food that is rich in protein and iron a couple of days and on the day of donation. Your protein and iron levels in blood and plasma have to be high at the time of donation. You can refer to ChooseMyPlate, a US government website for a list of protein and iron rich foods. Start avoiding fatty foods a couple of days before donation since they can thicken your plasma and make it difficult to extract. Remember to sleep well, especially on the night before the donation. Have a protein and iron rich meal at least three to four hours before plasma donation. Inform the technician if you have taken any medications during the last 24 hours, including vitamin and food supplements. Since some plasma donation centers have long queues, you can bring along newspapers, magazines, smart-phone or laptop to reduce the boredom of waiting at a medical facility. When you donate plasma for money, your body loses some vital nutrients. Of course, these are replenished easily. You need not worry over it. But there are some do’s and don’ts you need to follow soon after donating plasma. Drink plenty of water and liquids like juice. Continue consuming protein and iron rich foods. Avoid alcohol at least for six hours after donating plasma. Try not to smoke for about 30 minutes after plasma donation. Avoid intense physical activity including heavy exercises for the day. Protect the area were your vein was pierced for inserting the needle against dust and infections. How often can you Donate Plasma for Money? Generally, donating plasma for money very frequently is not recommended. However, some centers allow you to donate plasma after two to three days. If you are truly hard-up for cash and need money desperately, you can try donating plasma twice a week. FDA allows people to donate plasma twice every week. However, every successful plasma donation will depend upon your health. Donating very frequently can have a bad effect on your health. I strongly recommend you consult a physician before you frequently donate plasma for money. The amount of money you can make depends upon individual plasma donation companies. Usually, first-time donors get about US$50. Others pay you US$30. Some plasma donation centers have special compensation for frequenters. They pay as much as US$ 60 to US$75 for frequent donors. Some companies also run rewards schemes. 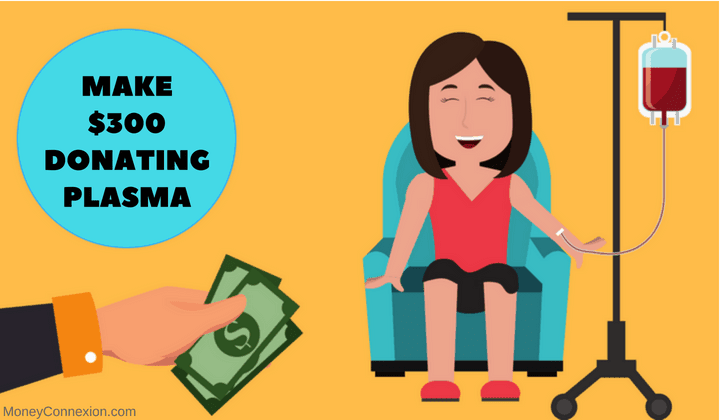 This means, frequent plasma donors can get extra money, entry into sweepstakes, loyalty points that can be exchanged for shopping vouchers or other freebies. If you want to donate plasma for money, visit websites of some top companies that pay you for this body fluid. There are several ways used by plasma donation companies to compensate you. Pre-loaded debit cards: Every time you donate plasma, your card will be credited with the money. Bank Transfers: A few plasma donation companies wire the money directly to your bank account. PayPal: Some plasma donation centers will compensate you by crediting money into your PayPal account. Most plasma donation companies will credit the day’s compensation to your debit card only. The other two systems of paying for your plasma are seldom used. When you donate plasma for money, somebody’s life can be saved. Human plasma is used to make several medications or given as transfusion to victims of critical illnesses. While plasma donation companies make a lot of money, they also incur high expenses on preserving the body fluid and processing it. As we have seen, it is possible to earn up to US$300 per month by donating your plasma. The compensation may vary depending upon the center where you donate plasma for money. With loyalty programs and add-ons such as rewards schemes of debit cards, income can be higher. Personally, I am not in favor of donating plasma to make money. I have never ventured into this trade. There are many other legit ways to make US$50 in 90 minutes to two hours. Also consider the expense on commuting between a plasma donation center and home as well as expense on extra protein and iron rich foods. Yet, plasma donations are important for people afflicted with various critical illnesses. And for people that have no other means of income, donating plasma for money may be the only way of eking an existence. How can I be donated from Nigeria??? if I want to trade in blood plasma venture what should I do, kindly reply soon. Hi, I have been received email from sure job.com regarding plasma blood per above, presently I am at Saudi arab in jubail city, would you kindly let me know ur office location to be visit there. Accordng to me ,there is no matter to donate plasma for money. Any ways to earn if that way of making money don’t make bad impact to the socity i think there is no problem. Each one can make such a business freely. As far as i’m conserned ,i’m interested in donating plasma for money. Now i’m living in Ivory Coast west africa. Good Evening, Hope you are doing well! I need hard cash of 200000 Lakh RS(INR) asap to save my family . Can you please give me an idea how i can earn dollar($) / day basis from online immediately by using internet and also how i can get this $ by weekly into my bank account immediately ? If you have an idea regarding that kind of any opportunity please let me know asap. I will be the happiest person to hear back from you soon. @Ayan, there are many ways to make money online and even start your own profitable business. 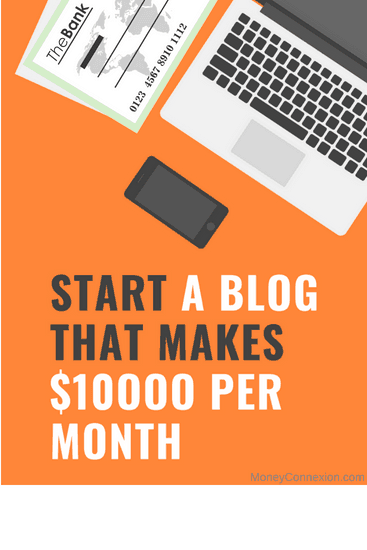 You can check resources on my blog and if you have query for a particular way to start then I will definitely help you. Any risk or Side effect to give plasma donation? This is the good way to earn money for needful peoples. a good idea. are there centresin Africa?